A former ally of Oda Nobunaga, now rebelling against him. 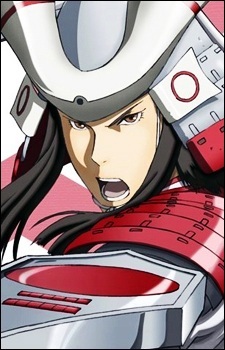 He is a man fighting for justice and vows to destroy anybody who creates chaos, namely Nobunaga. Wields a long sword and a folding buckler. His fighting style and mannerism are similar to that of a typical superhero, preferably the Metal Heroes. He's also often seen roughly telling Oichi to shut up or stop crying, only to shyly declare his love (sometimes with flowers), making him a male tsundere.